At the close of a truly extraordinary, sometimes explosive fortnight, here below is the English text of the just-released final message of the Synod, said to have been approved by a "wide majority" (later said to be 158 of 174 voting members). On one last note for now, Page Three (either directly here or down the right sidebar of this page) has been running the daily blow-by-blow... now with the dust beginning to settle – at least, for the time being – the threads that never stopped emerging can start being brought together. 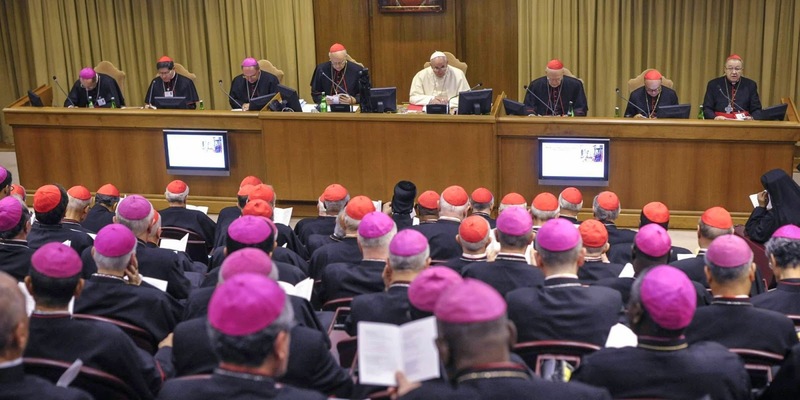 That said, the Synodal process of discernment will continue in the wider church for the year leading up to the ordinary assembly in October 2015, which will present concrete proposals to Francis on the life of the family in the mission of the church. For now, again, here's today's final message.